Gwyneth Paltrow: Will the FTC Call About Her 'Ridiculously Lavish' Vacation? A hotel representative declined to comment on the arrangements it made for the celebrity guests, and Paltrow's spokesman did not respond to requests for comment. But celebrity wranglers and publicists who work with A-list Hollywood talent say it's inconceivable that stars of Paltrow and Aniston's magnitude would have paid their own way on such an excursion. "Not a chance in hell," says one booker, who asked not to be identified. "I'm sure they were comped the entire thing. If you're going to go on a holiday over Thanksgiving, you don't go somewhere you know there are going to be photographers if you're paying." 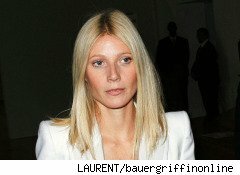 In fact, the booker adds, the real question is whether Paltrow and her friends were paid in cash, or merely received free luxury accommodations, travel, and services, such as the daily hammam treatment Paltrow enjoyed: "5 minutes in a steam room, a full-body lather in Black Soap, an exfoliating rub down, a Ghassoul (Moroccan clay) body masque, and then a warm shower...Ridiculously lavish!" Rooms at La Mamounia reportedly start at $800 per night. It's a safe bet Paltrow's room didn't overlook the parking lot. Here's the problem. Under the guidelines published last month by the FTC, a celebrity who endorses a product or service has to disclose any "material connection" to the provider -- a designation that covers not only cash compensation but also free merchandise or services. The new rules specifically target new media like e-newsletters and websites, the two formats in which Goop is published. The guidelines read: "Although disclosure of compensation may not be required when a celebrity or expert appears in a conventional television advertisement, endorsements by these individuals in other media might warrant such disclosure." Under the strictest reading of the new rules, bloggers or celebrities who make endorsements without disclosing material compensation are subject to fines of up to $11,000. FTC officials, however, have made it clear that such fines would be targeted mainly at advertisers and would be levied only in serious cases. Still, I contacted an FTC spokeswoman to ask how it would determine whether Paltrow violated the guidelines -- and what, if any, steps it would take in the event that she had. I'll update as soon as I hear back.